Owners moved, Buyer possession until closing, Buyer needs a month or two to be cleared to close, talk to us. House stood up to Flo. Ultimate private back yard. Stuck in an apartment with no real personal outdoor space?? 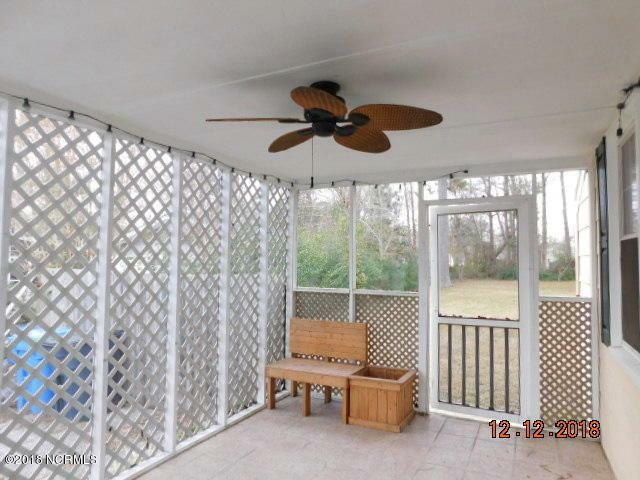 ?Then this is your perfect home.Nearly half acre yard, deck, screen porch. Owners been fixing the home up the last few years-- new kitchen cabinets, back splash and flooring. True Hardwoods in most of the house. Remodeled cute Bath. 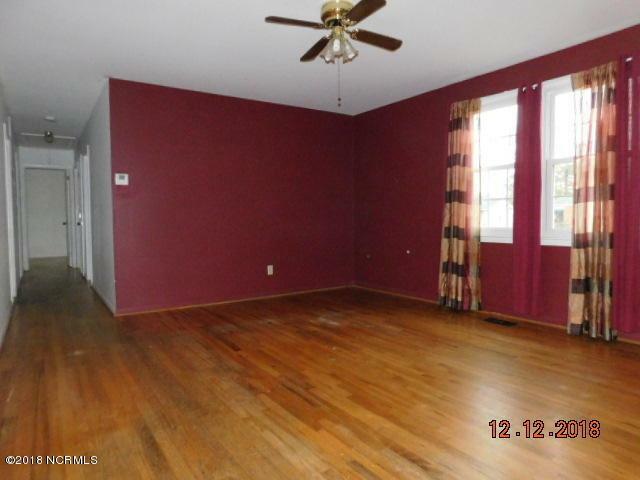 Three nice sized bedrooms, large living room accommodates large sectional. Dining room, remodeled kitchen, with laundry in kitchen. A Home inspection completed, owner took care of suggested items, ready to closeOwner is all but moved out, makes a possible quick closing. Right at half an acre yard, deck and screen porch. This couple has been fixing the home home the last few years so new kitchen cabinets, back splash and flooring. True Hardwoods in most of the house. Remodeled and cute Bath. 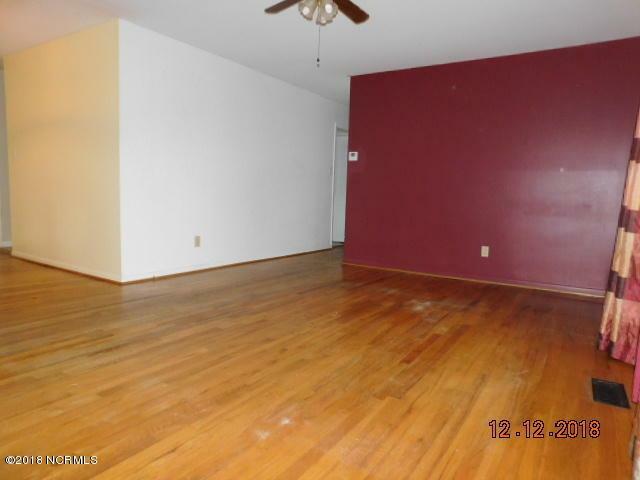 Three nice sized bedrooms, large living room which accommodates a large sectional sofa. Dining room, and the remodeled kitchen, with laundry in kitchen. Updates by sellers last few years, or recently *Windows replace 15 *Bathroom--new vanity, drywall, subfloor, floor and lighting *Kitchen--all new cabinets, floor, backsplash, plumbing *New central Air new heat pump, condensor and thermostat *Fresh paint all over inside *6 interior panel doors *new outlets and switches *Back deck *gable vents *new corner post screen porch *new porch ceiling fan Convenient to all of Jacksonville just off Henderson dr, Gum Branch, minutes to Hwy 17 or western blvd. Getting to the bases is easy. Quieter street without through traffic. 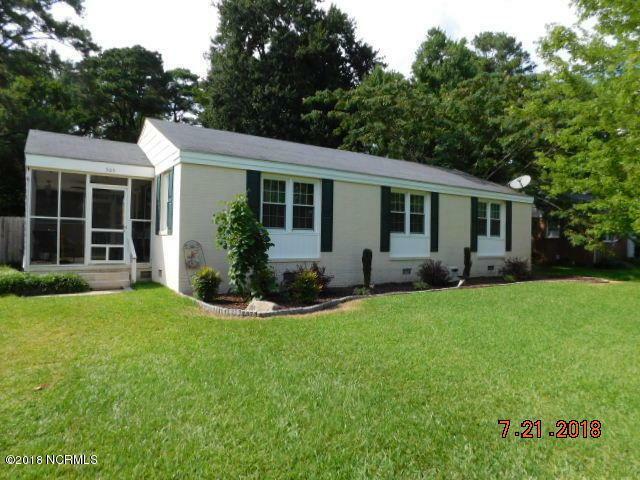 Listing provided courtesy of Joy Jones of Bluecoast Realty Corporation.